In this article, we will see how to use Spring Session with JDBC. Spring Session provides a transparent approach to resolve limitation of HTTP session. It provides central session management without being tied to container specific solution (e.g. Tomcat, Jetty etc.). It provides different options to store and manage session information. In this article we will walk through the steps to integrate JDBC with Spring Session. We will use Spring Boot in this article but will also outline steps to configure Spring session with JDBC for non Spring Boot applications. We will use MySQL for the setup but you can use any other database of your choice. If you are using only a single session module, you can omit above property from your application.properties file. Spring Boot uses that store implementation automatically. If you have over one implementation, you must specify above property. 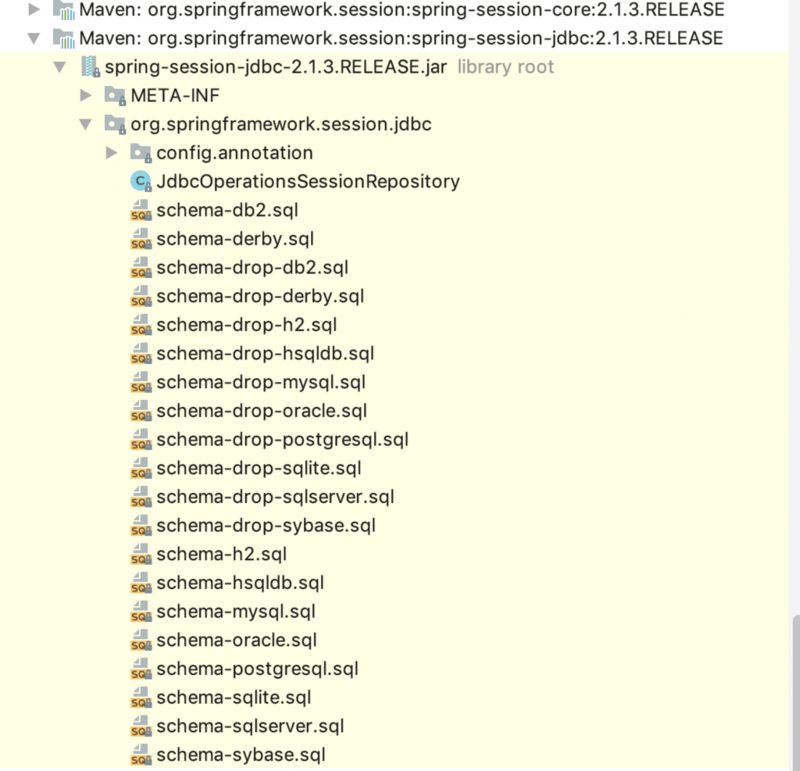 Once we enable these properties If we specify spring.session.jdbc.initialize-schema=never, then we need to create session tables in manually. Spring session JDBC jar contains SQL scripts to create required schema. You can check this under org.springframework.session.jdbc package. Don’t use @EnableJdbcHttpSession and let Spring Boot handle it through auto configuration. Manually create schema if you continue to use @EnableJdbcHttpSession annotation. The only interesting point is the @EnableJdbcHttpSession annotation. Spring session handle this transparently.The @EnableJdbcHttpSession annotation creates a Spring bean with the name of springSessionRepositoryFilter that implements Filter. The filter is what is in charge of replacing the HttpSession implementation to be backed by Spring Session. In this post, we saw how to use Spring Session with JDBC. We discussed the different steps to configure and use JDBC backed session management for our application.